ALS is a neurodegenerative disorder that currently has no cure. Studies have implicated the role of the immune system in ALS and researchers are investigating the use of immunotherapy as a strategy to slow down disease progression. Amyotrophic lateral sclerosis (ALS) is a neurodegenerative disorder that is characterized by the loss of motor neurons (nerve cells that control voluntary muscle movements). While ALS lacks the typical presentation of an autoimmune disease (in which the patient’s immune system attacks its own healthy cells), there are several factors that suggest that the immune system, particularly inflammation, plays a major role in the progression of the disease. Inflammation is a response mounted by the immune system to any infections, wounds, and damage to tissue. While the inflammatory response is necessary for healing, it can also be harmful in the context of an autoimmune disease. Currently, there is no cure for ALS. Hence, researchers have been investigating the possibility that manipulating the immune response in patients with ALS can be a strategy for stopping disease progression. The thinking is that if neuroinflammation (inflammation of the brain) plays an important role in the disease, then controlling neuroinflammation can help fight the disease. There are several types of cells that make up the immune system, one of which is known as Tregs. Tregs are a specialized subpopulation of immune cells whose role is to suppress the immune response. One of the main roles of Tregs is to regulate other cells of the immune system and stop them from attacking the body's own healthy cells. Studies have shown that many ALS patients not only have low levels of Tregs but also that the remaining Tregs don’t function properly. Several researchers that study autoimmune diseases have looked into using Tregs as a strategy to reduce harmful autoimmune response. In particular, ALS researchers have been investigating the use of specific type of Tregs known as CD4+Foxp3+ Tregs. Prior research has shown that ALS patients that have higher levels of CD4+Foxp3+ Tregs progress significantly slower in their disease than patients with lower levels of CD4+Foxp3+ Tregs. Furthermore, researchers have also investigated the relationship between Tregs and ALS in a mouse model. Essentially, they increased the Treg population in the ALS mice and looked at disease progression. They found that not only did the mice that received high levels of Treg have a slower disease progression but that their motor neurons were also preserved. A different research group expanded on these results and actually created an injection of Tregs that they administered to three ALS patients. Blood is made up two different cell types: white blood cells and red blood cells. In this study, ALS patients underwent a process called leukapheresis. 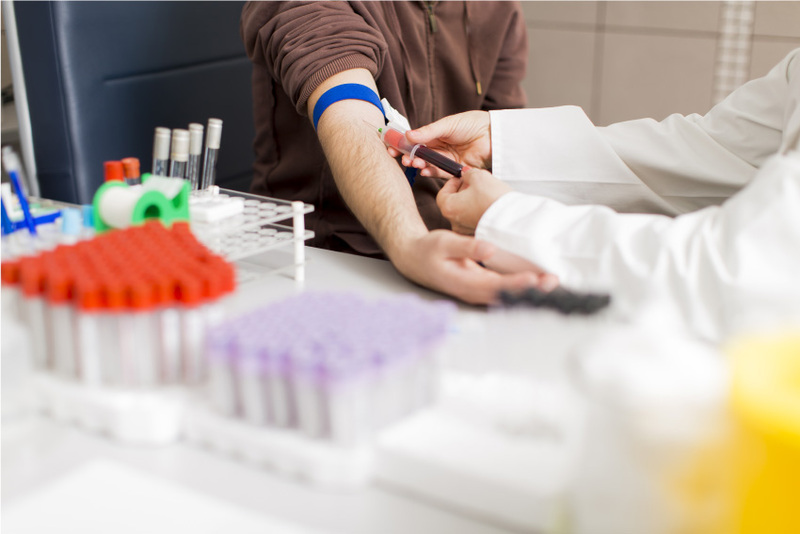 This process involves taking out the patient’s blood and filtering it through a special machine that separates white blood cells (which play a role in immunity) from the red blood cells. Using this technique, the researchers took the Tregs and separated them from red blood cells. The red blood cells were returned to the patient’s body. During the study, the subjects underwent eight injections of properly functioning Tregs, which led to an increase of 30-40% of Tregs over normal levels. The patients’ disease progression was measured using two ALS progression rating scales. Results of the study indicated that the injections were safe and effective as researchers observed a significant slowing down of disease progression during each round of Treg injections. Researchers are excited about the possibility of treating the disease with Treg infusions as further studies are currently underway. Another group of researchers in Europe are developing a potential low-dose IL-2 therapy that will be administered intravenously into patients with ALS. IL-2 is a small chemical in our bodies that regulates immune cells and has been shown to increase levels of Tregs. Researchers are assessing the efficacy of this therapy in phase 2 clinical trial. In this clinical trial, patients will receive either placebo or low-dose IL-2 injections every month for 18 months. While results aren’t expected till 2020, researchers are confident that IL-2 will increase Treg levels in these patients. Researchers are also conducting a phase 2 study of dimethyl fumarate, which is used to treat multiple sclerosis (an autoimmune disease). Dimethyl fumarate has been shown to protect nerve cells from damage in some cases of multiple sclerosis by increasing levels of Tregs as well as improving the way that these cells regulate inflammation. The phase 2 study is designed to test whether dimethyl fumarate is safe, tolerable, and effective in the treatment of patients with ALS. For the study, it is estimated that 100 to 150 people will participate in the 42-week long study. Another multiple sclerosis drug, fingolimod (Gilenya), aims to reduce inflammation in ALS by keeping immune cells inside the lymph nodes (where they are generated) and stopping them from traveling to the brain. Prior clinical trial has shown that fingolimod is safe. However, a study also showed that while it stopped immune cells from traveling to the brain, it also stopped the beneficial Tregs from reaching the brain. Hence, at this point, fingolimod is no longer being considered as a treatment but researchers are using it to still study the way that it regulates the immune system in hopes to eventually develop a better strategy. Another strategy being investigated as a treatment method for controlling inflammation in ALS are antibodies that block the CD40 ligand, which can help increase levels of Tregs. Researchers that are investigating this method hope to start the phase 1 study soon. Rentzos, M., et al. "Alterations of T cell subsets in ALS: a systemic immune activation?." Acta neurologica Scandinavica 125.4 (2012): 260-264. Beers, David R., et al. "Endogenous regulatory T lymphocytes ameliorate amyotrophic lateral sclerosis in mice and correlate with disease progression in patients with amyotrophic lateral sclerosis." Brain 134.5 (2011): 1293-1314. Henkel, Jenny S., et al. "Regulatory T‐lymphocytes mediate amyotrophic lateral sclerosis progression and survival." EMBO molecular medicine 5.1 (2013): 64-79. Hooten, Kristopher G., et al. "Protective and toxic neuroinflammation in amyotrophic lateral sclerosis." Neurotherapeutics 12.2 (2015): 364-375.